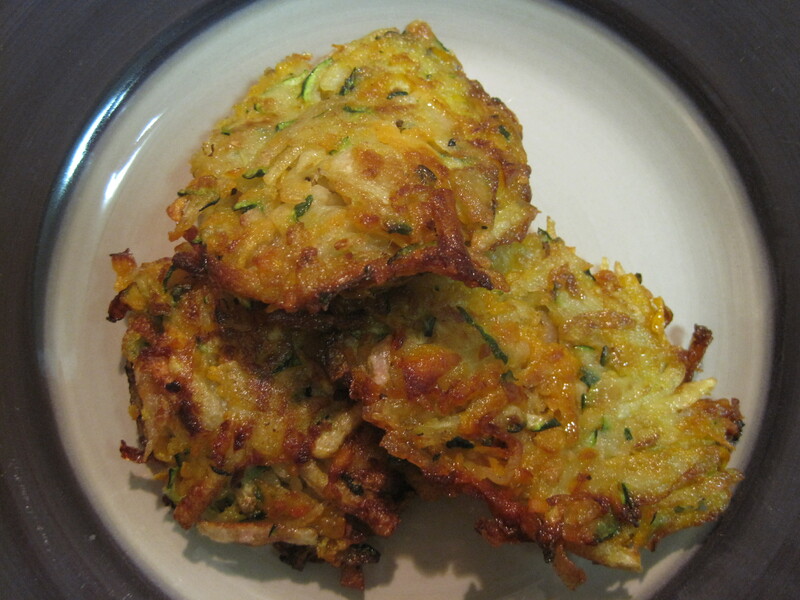 What could possible make the fried potato goodness that is a latke any better? Our friends the sweet potato and zucchini can answer that question (with flying colors!). Even better* are the locally grown, PURPLE organic taters I threw in from my CSA. 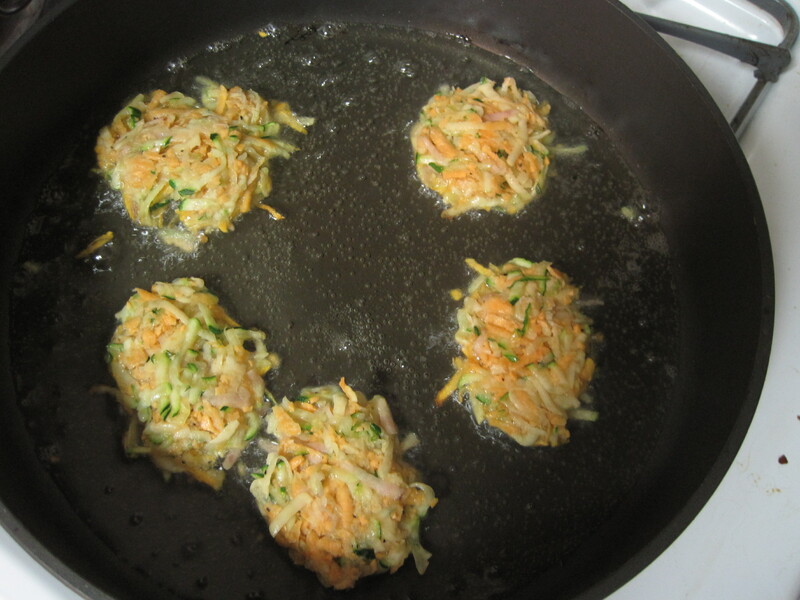 You can even pretend that these are healthy and we’ll just ignore all that oil :) For more fun alternative and sustainable latke recipes, check out one of my favorite blogs The Jew and the Carrot. *what would actually be better is losing the zucchini and adding in some carrots or parsnips for the sake of using seasonal produce…but i have a soft spot for the zuc. 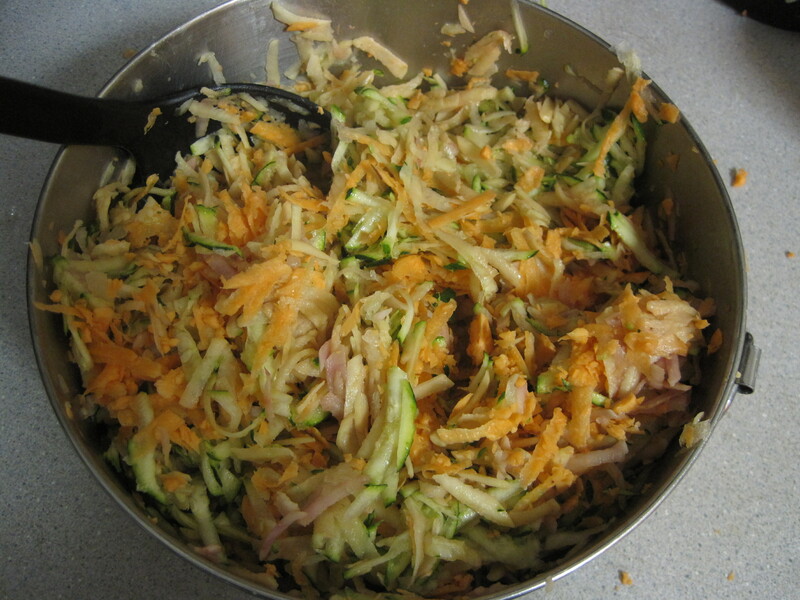 Mix together potatoes, onion, zucchini, onion, egg, flour and seasonings in a bowl. Heat veggie oil in a large skillet. Form potato mixture into pancake like shapes and plop them into the oil. Flip when browned and crispy. When both sides are done, remove and place on paper towel to get rid of excess oil. Serve with applesauce, sour cream, plain yogurt or your other favorite latke topping!